I know I blabbed on about the caves in Pai and posted in what I thought to be a few decent pictures. Ignorance took way on that post as there are wonderful caves all over mainland SE Asia similar to Nam Lod. 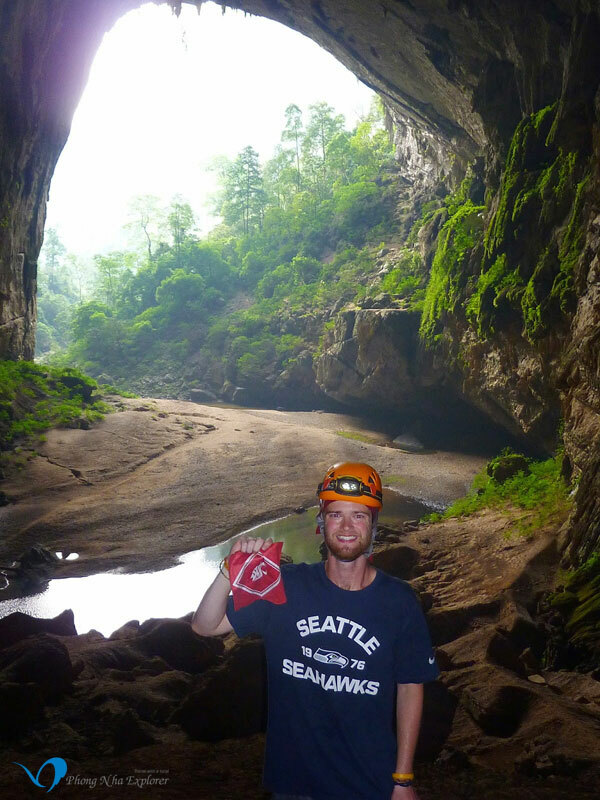 But what I also didn’t know at the time of that post was that I would actually be able to fulfill my dream of visiting the Hang En Cave in Phong Nha National Park, Vietnam. Bigger is always better, right? Well in the case with caves I’d like to think so. 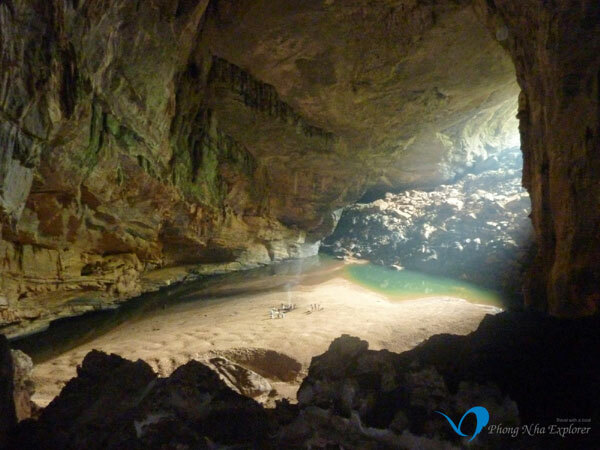 Phong Nha National Park is home to two of the three biggest caves in the world with the third one residing just south in Malaysia. Over a year ago my Dad sent me a link with a few pictures of these miraculous caves in Vietnam that had just been opened to the public in 2009 and only first discovered by a westerner in 2003. One of the pictures gave excellent perspective of the caves gargantuan size by having the photographer take a picture of the mouth of the cave from the inside while cavers walked toward him with head-lamps on to truly compare the caves glory to a normal sized human. Here is the exact picture for reference. Once I saw this picture from the link it was instantly set as the background to my itouch and the following week I told my Dad, “I’m going to that cave”. The picture posed as quite the inspirational piece . 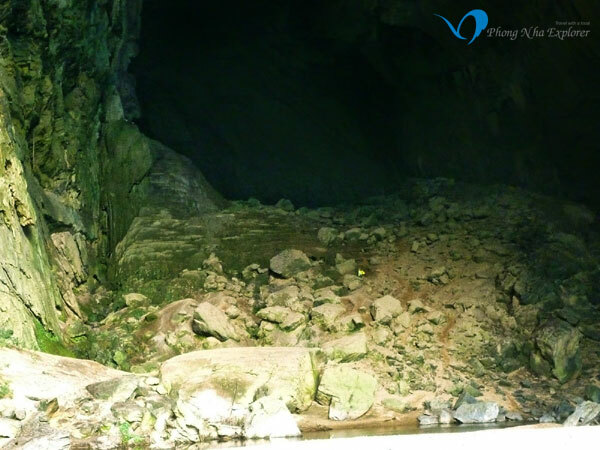 Once I got to the one and only hostel just outside of Phong Nha National Park I instantly booked my tour to Hang En Cave and from there it was history. The following morning a group of eight fellow travelers (there were only two backpackers on the tour and one was my good buddy Harry, the rest were middle-aged couples who were serious trekkers and had essentially come to Vietnam just for this tour) took off on a 6 (ish) mile trek through the jungle where we would eventually come to our home till the following morning. We got to sleep, feast and even go #1 and #2 in the cave. As the guide said, what goes into the cave comes out of the cave, including the feces. Luckily we had some porters who carried that stuff out to be later used as fertilizer.Now I could go on and on about the cave itself with its’ breathtaking size, stalagmites, stalactites, various colors, thousands of bats and wonderful stream running through it but that’s not nearly as fun. Everyone’s got Google-images for that stuff. Aside from the hundreds of pictures, that hardly do justice, I also took away a sense of cultural fulfillment, overall satisfaction and most of all accomplishment.It wasn’t till dinner time where the whole lot of us sat on the orange tarps and I realized these things. For over a year I had this exact spot on planet earth pinpointed as a wish list location and there I was living it out. 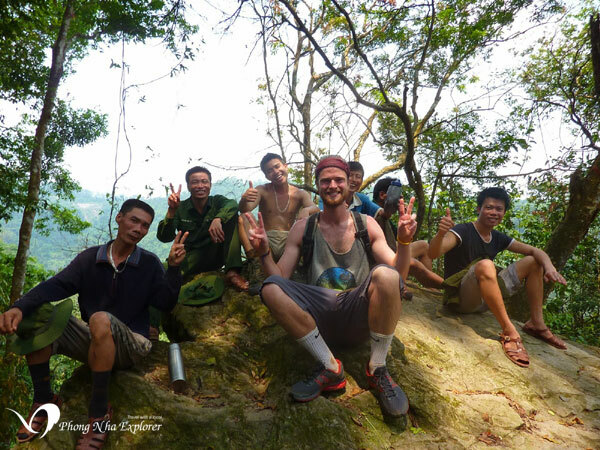 Seven fellow travelers, a handful of Vietnamese porters and myself all gathered around interacting and feasting while being in-cased by the walls of the 3rd largest cave in the world. The night carried on as the cave guitar was whipped out and the battle of the bands ensued. To one side of the tarp were the Vietnamese porters and the other side the western travelers. The porters had one gentleman who could play a few tunes and we, the westerners, had a guy from Brisbane, Australia who actually played in a band. Naturally the both sides went back and fourth playing popular tunes known to each culture. 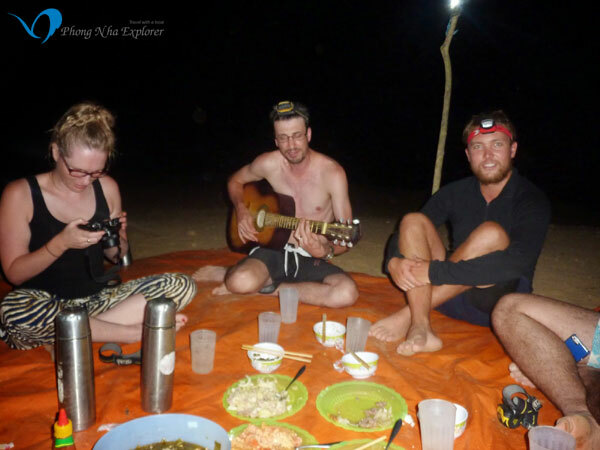 We shifted through songs by the Rolling Stones and Don Mclean while the porters jammed out to what sounded like tribal tunes that every one of them knew. It was truly something special to see. After the guitar was put away the rice-wine really started to flow and a few of us were left up to participate in what turned into a western vs. eastern battle of strength. I honestly don’t even know how it got started but we ended up arm and leg wrestling….? My tiny toothpick arms and legs didn’t put up the best fight in the world but by golly those Vietnamese are deceivingly strong. What an odd chain of events but the end to the night may have been the most fun. 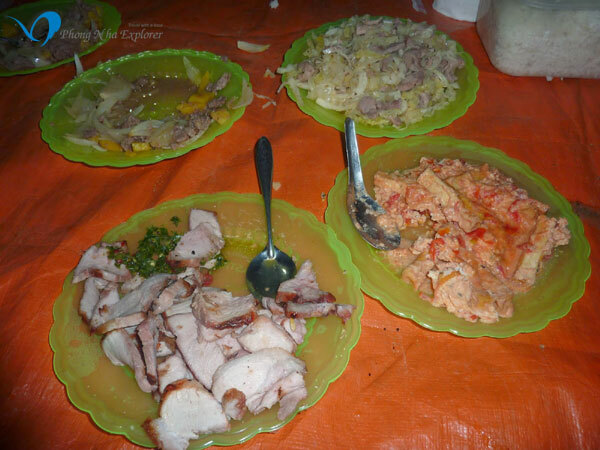 Here are a few pictures from dinner, the jam out and Vietnamese strength conditioning tests. The following afternoon when we trekked out of the jungle I just couldn’t help but have the biggest smile stapled to my face. So grateful to get to seize such a wonderful opportunity in Vietnam. Being such a newly publicized national park with so much uncharted water (or jungle for that matter) I’m glad I got to it before “tourism did”. The head tour-guide told us in the next two years there will be a gondola service straight to the Hang En Cave entrance eliminating the 6 mile trek, the sleepless but wonderful night inside the cave, the battle of the bands and monstrous feast making the satisfying experience all the more dull. As it stands now I would do this 2 day trek over and over again. Below are a few pictures from the journey to the cave and some from my time there on the grounds. 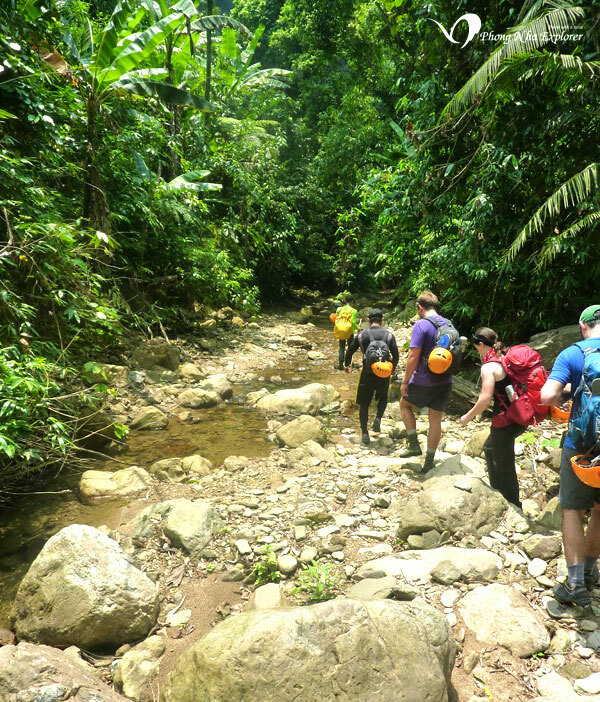 This article represents the personal views of tourists has visited En Cave.